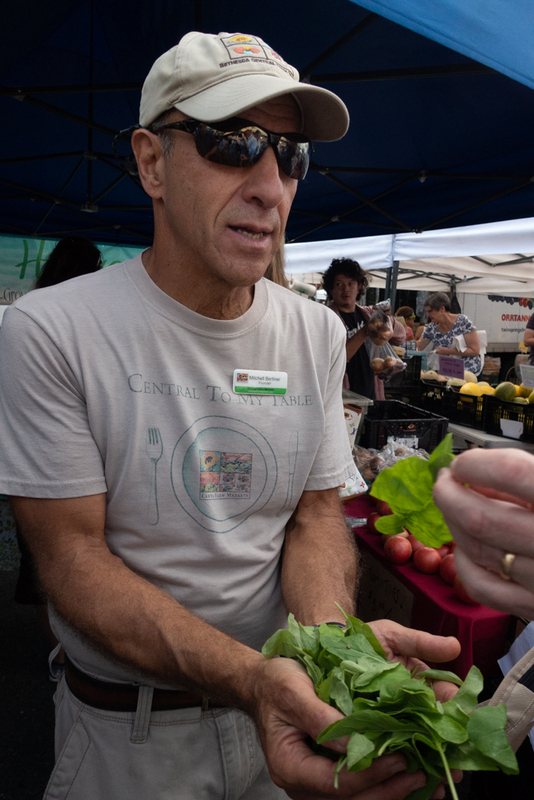 By Bill Babash, Vice Chargé de Presse, Bailliage of Greater Washington, D.C.
"Farm to table" might be the latest trend in restaurants, but for Maître Restaurateur Mitch Berliner bringing the bounty of local farms directly to people has been his passion for more htan 40 years. 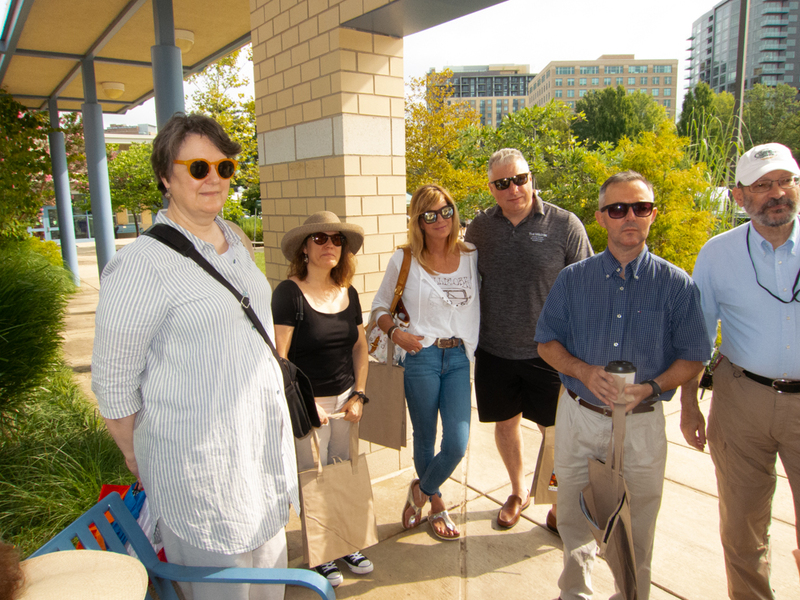 Mitch founded the Bethesda Central Farm Market in 2008 and, on a sunny and warm August morning, he shared his story and those of several of the market's farmers and vendors with the bailliage during an insightful tour. Mitch has lived in the Washington area for 52 years, but his accent gives away his New York roots. Mitch grew up in and around Manhattan, where his family was in the export business, allowing them to travel frequently, eat well, and gain an appreciation for good food at a time when convenience overshadowed quality in the grocery store. They frequently went to Long Island as a family to seek out the best products directly from the farms, and his mother encouraged his brother and him to cook using quality ingredients, which they did. With this deep appreciation for high-quality, straight-from-the-farm food, Mitch went to college to study … computer science! He graduated from American University in Washington in 1970, and since it was obvious that computers were the future, he began a career at NCR. But Mitch says, "my heart wasn't in it." 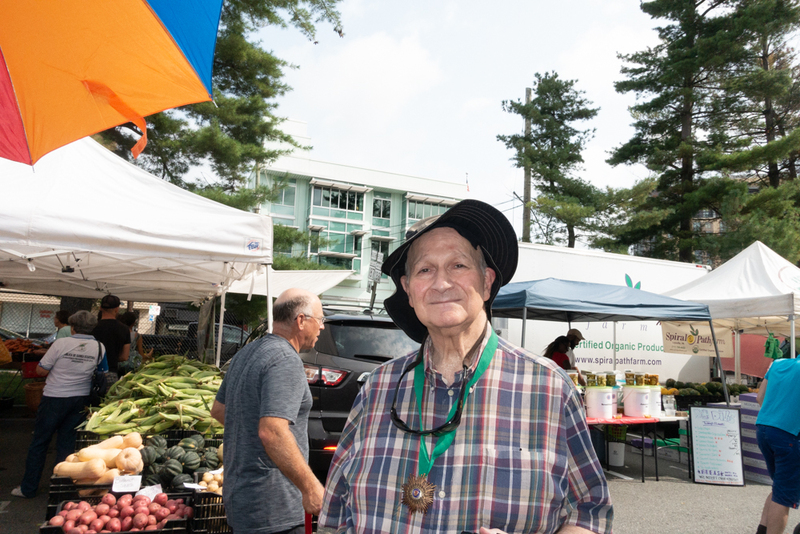 Instead, in the early 70s, "out of the blue," he opened farm markets in Montgomery County, Maryland. At that time, he couldn't get the farmers to come to the market, so he would drive to the Eastern Shore to pick up the farmers' produce. This kept him on the road from 3:00am to 11:00pm, but there was always a crowd waiting for the harvest. As Mitch notes, "we never sold an ear of corn that hadn't been picked that morning." 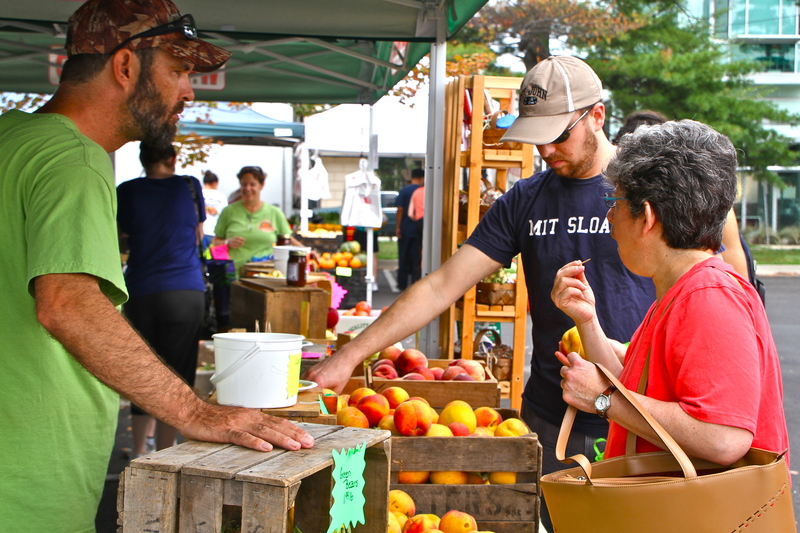 Mitch soon began working in wholesale foods but didn't have time for both and gave up the farmers' markets. 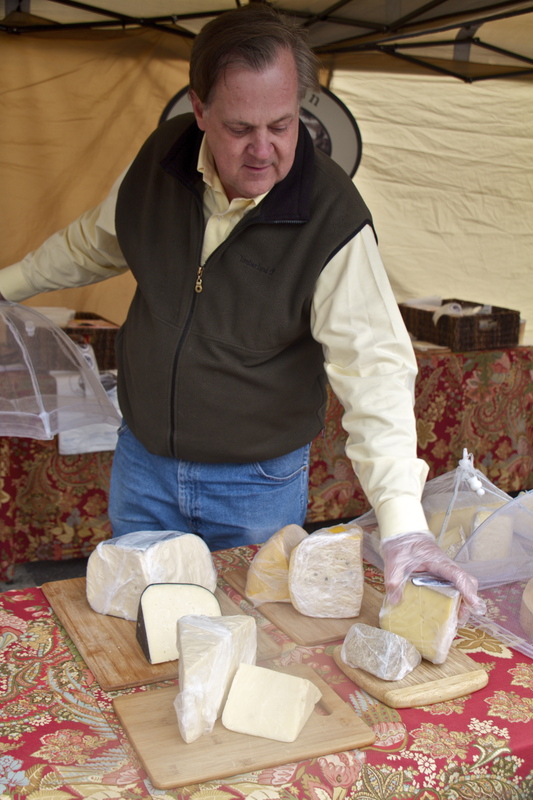 After 38 years running a very successful specialty food distribution business, he sold his interest in company and refocused on his true passion. To his surprise, there was no farmers' market in Bethesda at the time. He approached Federal Realty, the developer of the area, who thought a market was a great idea and encouraged Mitch to start it. "Like a jerk, I agreed!" he laughs. 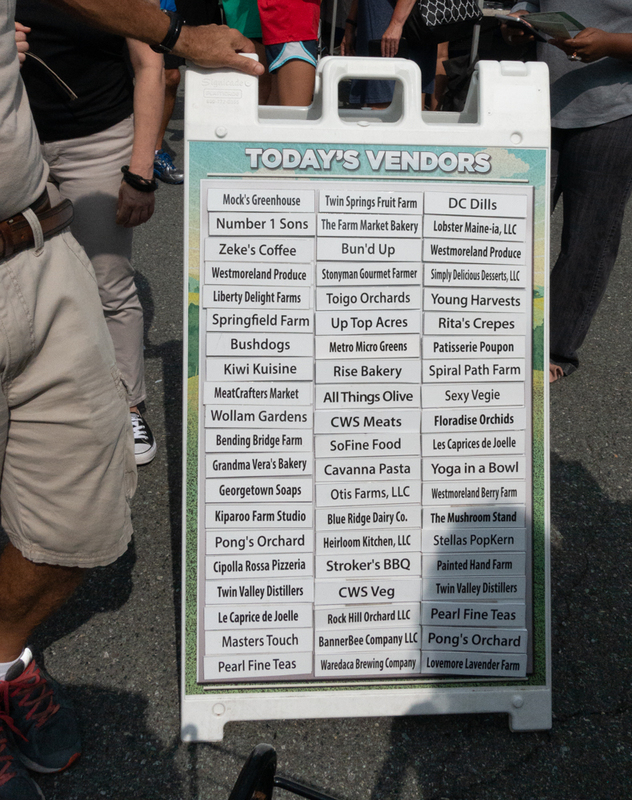 The first Bethesda market opened in 2008 with just 17 vendors. 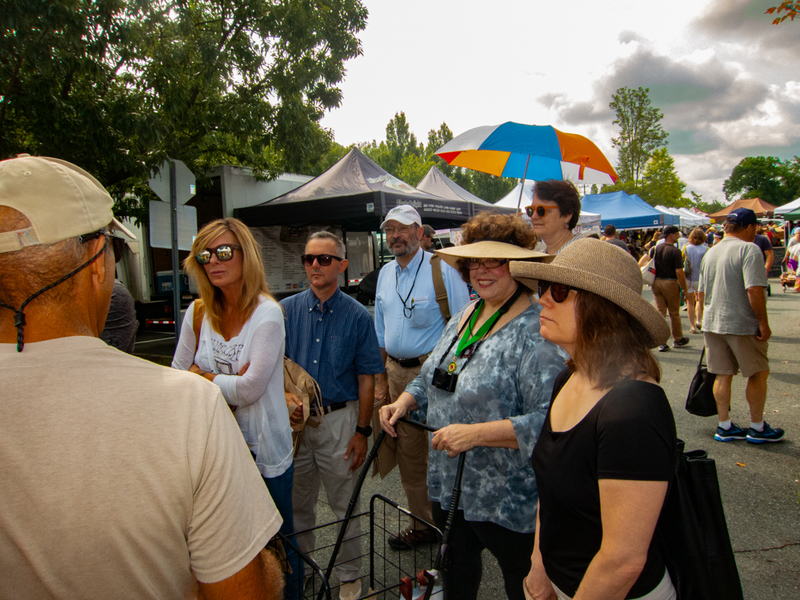 Today, that market is open year-round, hosting 126 vendors ranging from family farms to bakers, dairies, artists, distilleries, breweries, and prepared food. 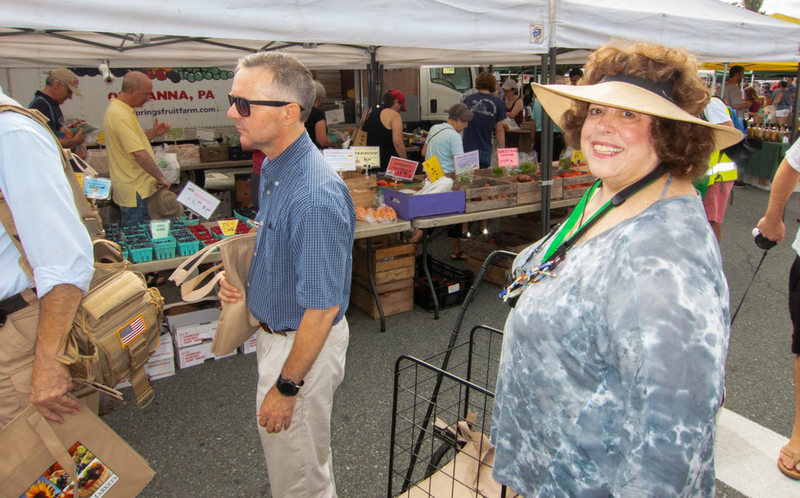 Not only has the Central Farm Market gotten larger, it expanded geographically. 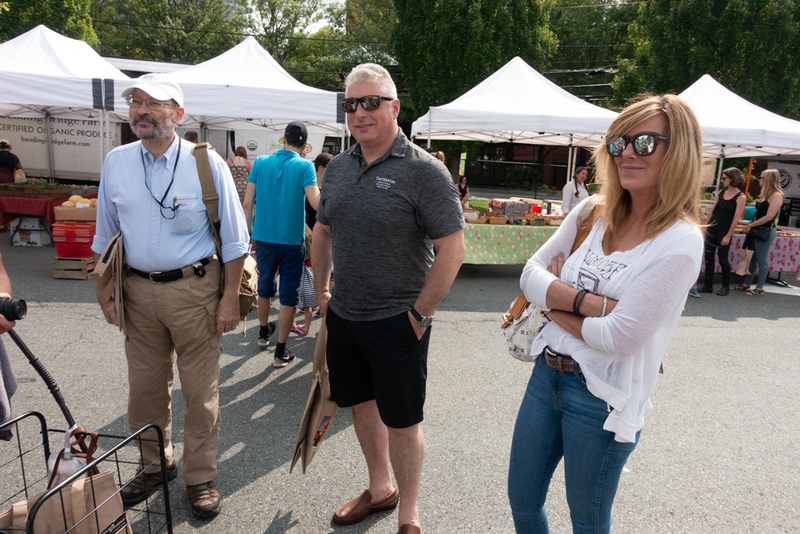 In 2011, Mitch and his wife Debra Moser opened their second market, the Pike Central Farm Market (open April through November) in North Bethesda. 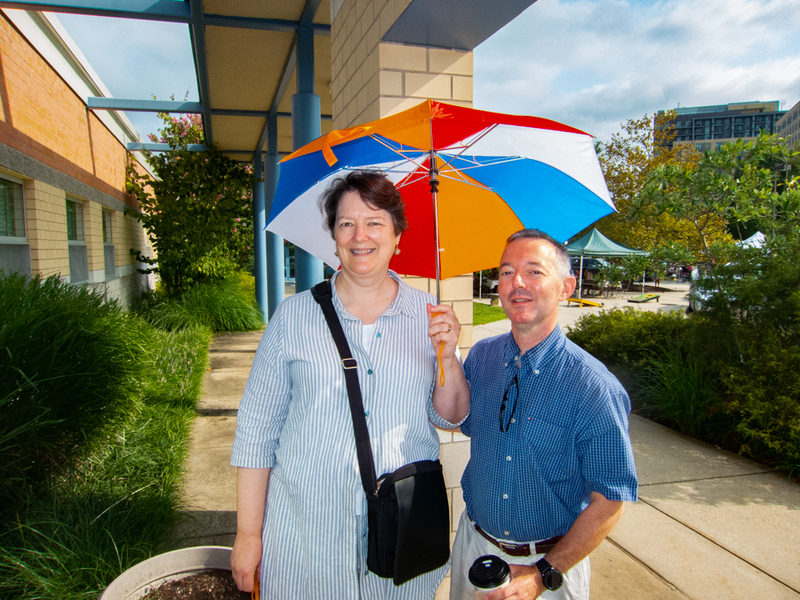 They then ventured into Virginia, opening a year-round market in the new Mosaic District in Fairfax. 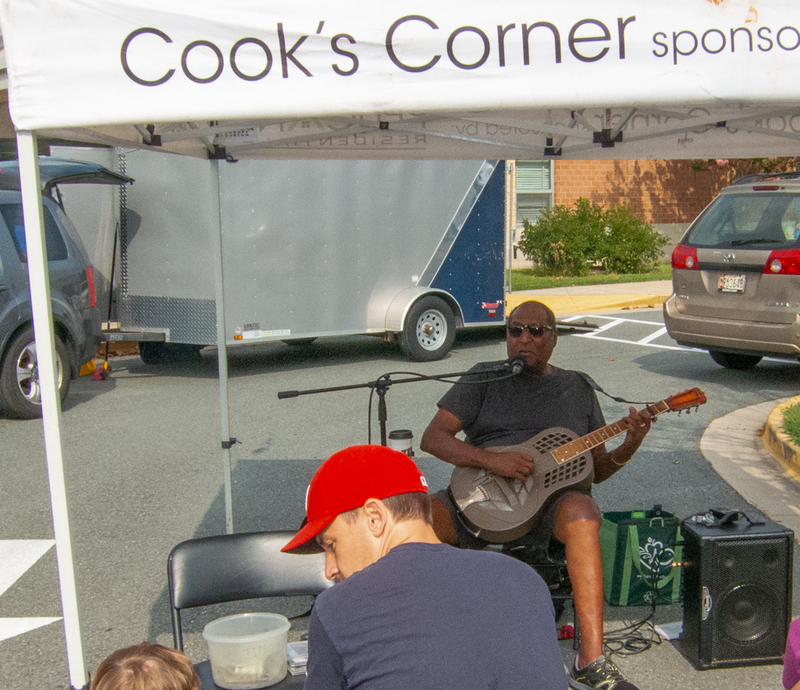 Their newest seasonal (May-November) market is at Westfield Montgomery in Bethesda. 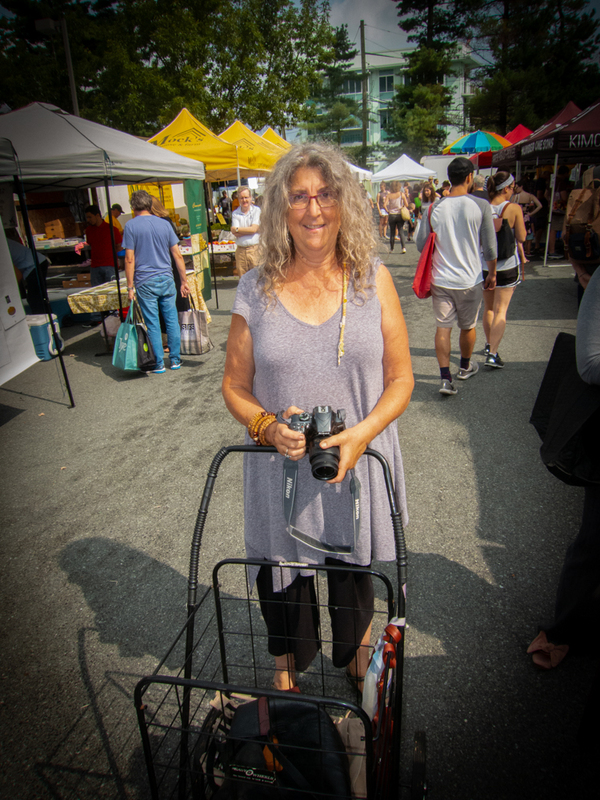 Central Farm Markets doesn't just bring the freshest, most wholesome, and delicious food to the 8,500 people who visit the markets each weekend during the main season. 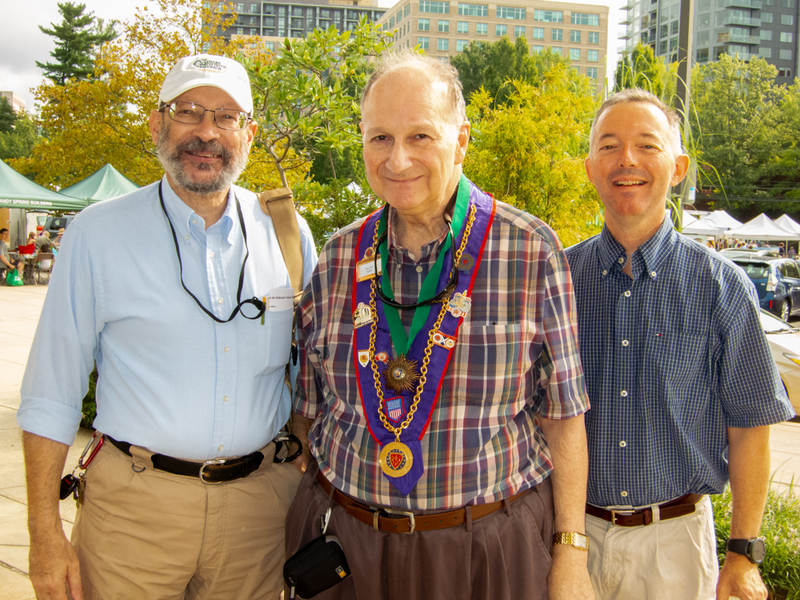 It has built a partnership with the Manna Food Center, which serves over 32,000 economically vulnerable Montgomery County residents who are at risk of food insecurity. At the end of the market each week Mitch and his team "go shopping." 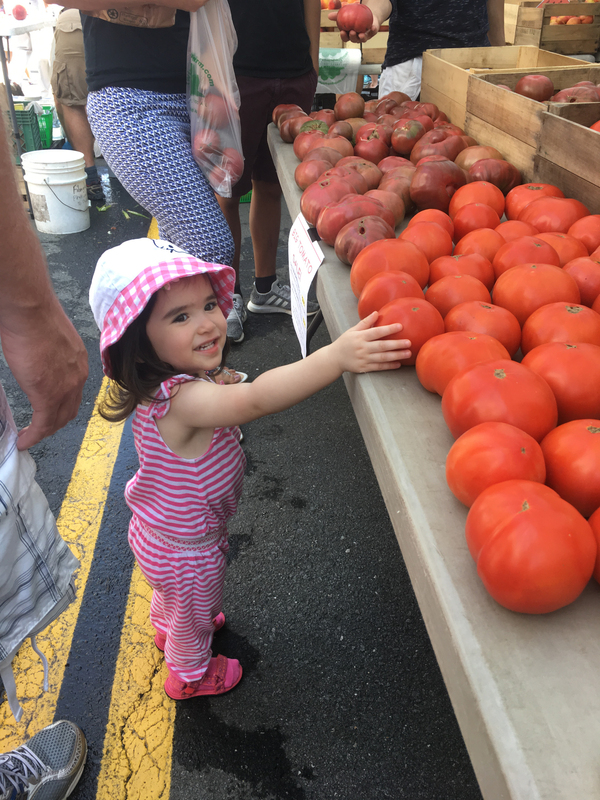 Using funds from grants, contributions by market patrons, and the generosity of Central Farm Markets itself, they purchase unsold produce at a reduced prices to donate to Manna. It's a perfect arrangement -- farmers sell products that might otherwise be wasted, and Manna's clients receive local, farm-fresh food. 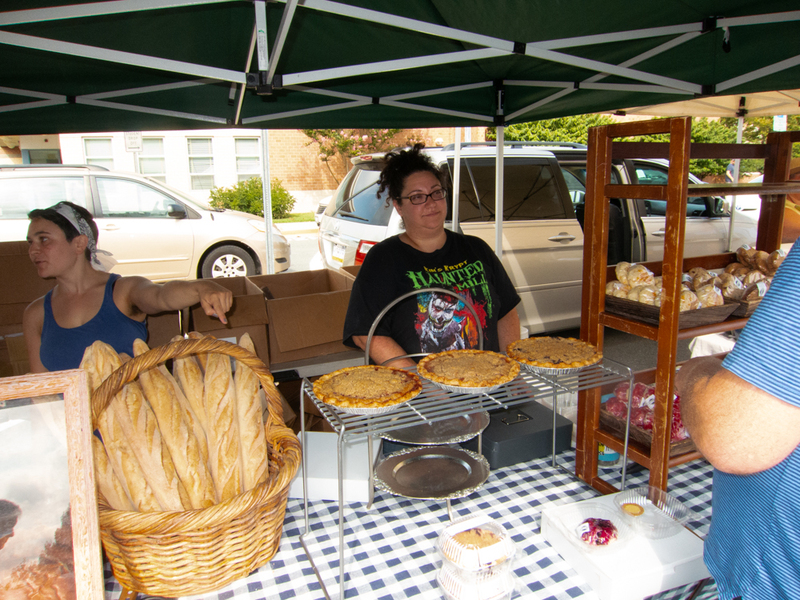 Last year, Central Farm Markets donated over 60,000 pounds of food to Manna. During a fall weekend, for example, the market will often donate an entire pallet of apples. These apples might be unsold at a farmers' market, but they're perfect for a school kid's lunchbox. One family started out as migrant workers traveling to farms from Florida to upstate New York. Over the years they saved and eventually bought their own small farm in the Northern Neck of Virginia, which they later expanded. Today, the third generation is getting into the very successful family business, helping his parents and grandparents at the market each weekend. 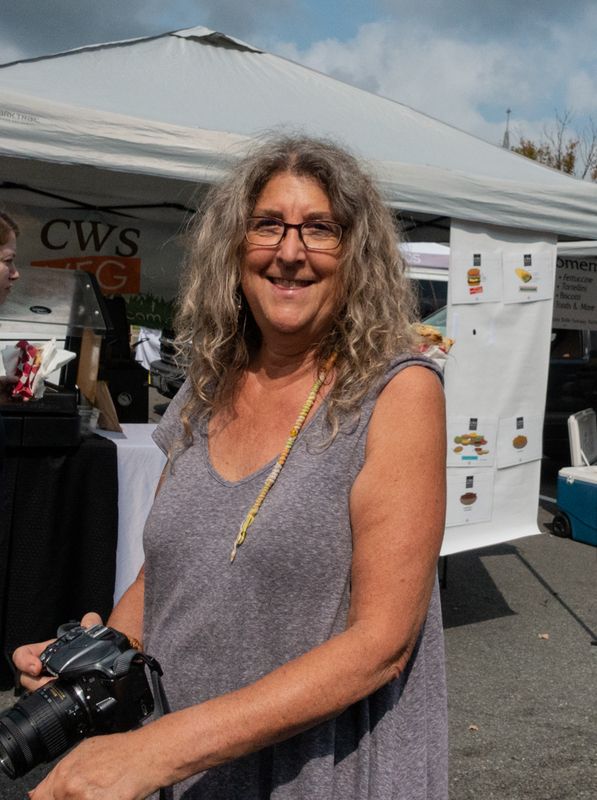 Another local entrepreneur began selling her hand-crafted salad dressings at the market – a perfect complement to the greens and vegetables there. The dressings were incredibly popular, and her business took off. Today, her products are featured in area Whole Foods Markets. A young woman working at one of the stands is a medical student. Her father is a doctor who bought a farm where she worked for most of her life. 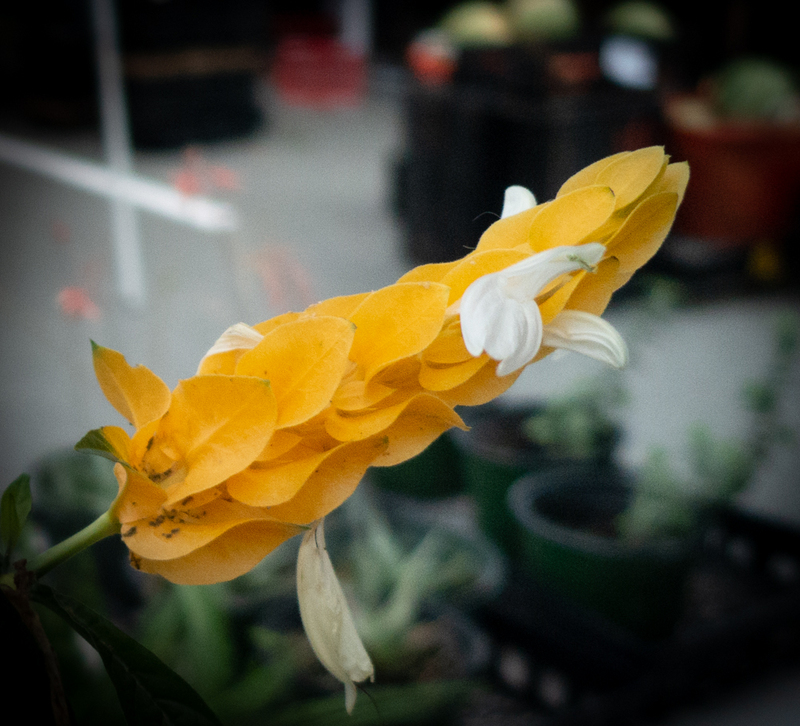 Despite the hectic schedule of a med student, she still works on the family farm and at the market on Sundays. One market vendor had been very senior executive at a large financial services company. He was offered a lucrative job in New York City but instead decided to take over the farm that had been in his family since the late 1600s. 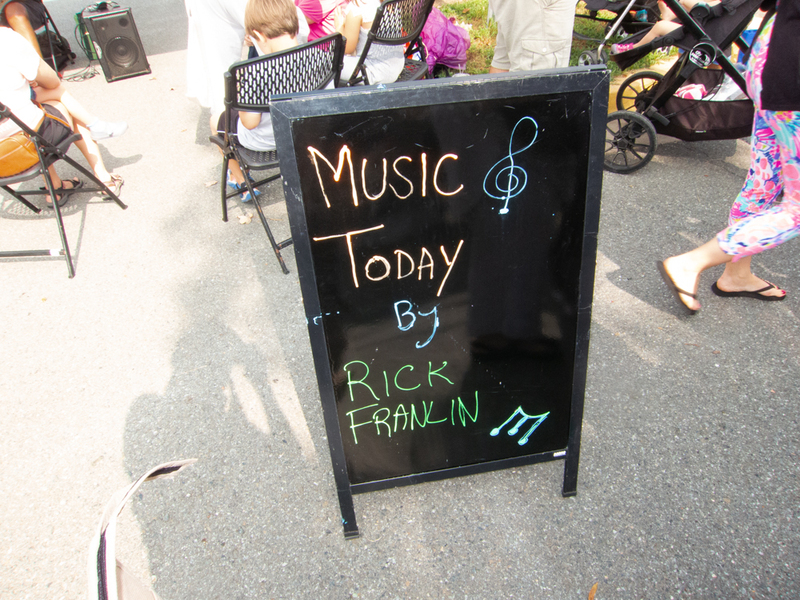 It was a delicious and insightful morning at the Bethesda Central Farm Market. 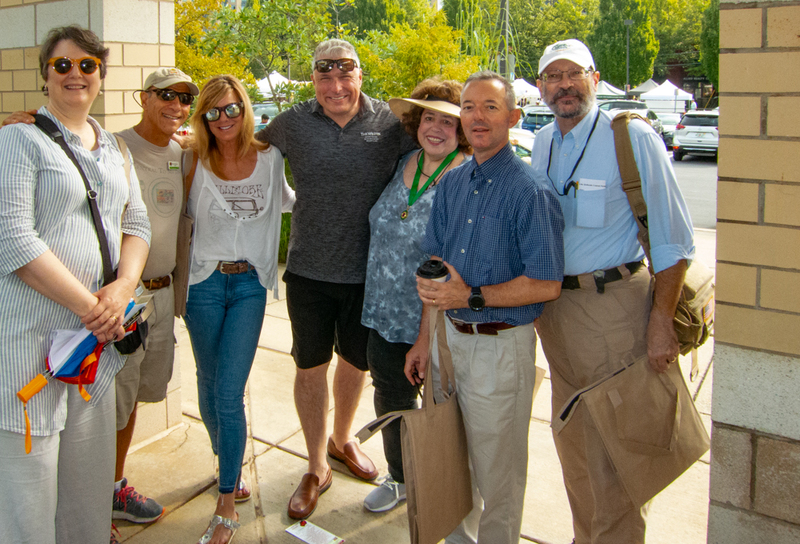 Unlike a typical Chaîne event where members enjoy the chef's creations, the morning at the market inspired them to fill their shopping bags (which they did!) with outstanding local products to create great food at home. 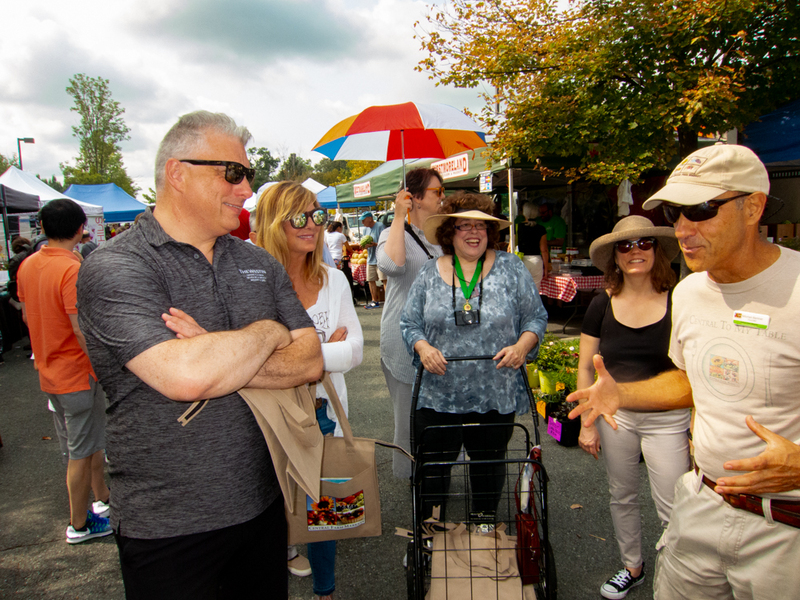 But more importantly, it was a wonderful opportunity to meet the farmers and vendors, to hear their stories, and to be inspired by their entrepreneurship and passion for farming.